This painting was made specifically for an exhibition at @leamingtonstudioartists in which artists were invited to create work in response to T.S. 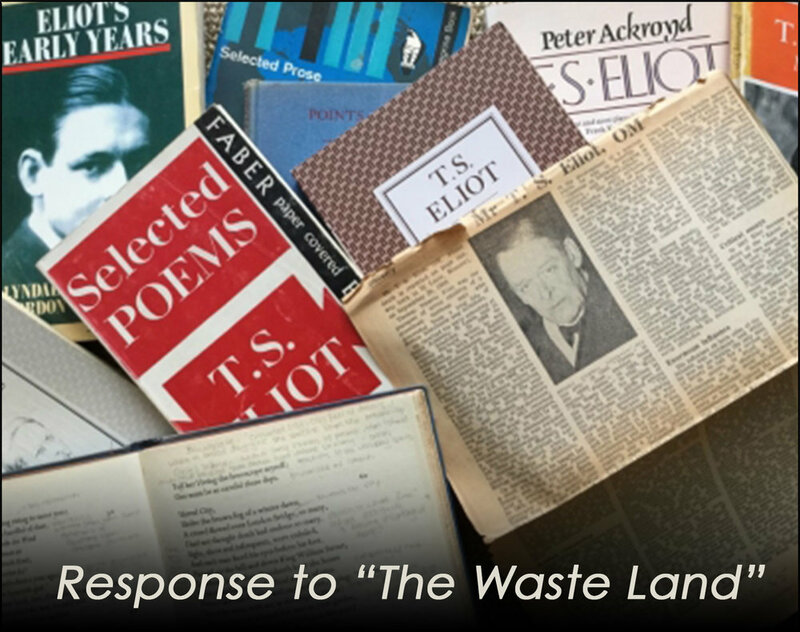 Eliot's poem “The Waste Land”. The exhibition is part of a wider project called Journeys with "The Waste Land", currently on at @the_herbert_cov , @coventry_cathedral and organised by the @mead_gallery , Coventry. Also shown at @turnercontemporary. There have been a variety of fantastic events to do with the project - all of them delving into the mind of T.S. Eliot and the contemporary relevance of his poem today. My painting is currently on exhibition at East Lodge Gallery, Leamington Spa the headquarters of Leamington Studio Artists. The exhibition is a fascinating treat with a variety of artists interpretations of the poem. For me the poem is a potent reflection of the years that followed the Great War. The feelings that come with war still evident in the human fabric of everyday life- disillusionment, anger, lamentation. I doubt many could escape the trauma of this period and I think such events hang heavy over the poem. 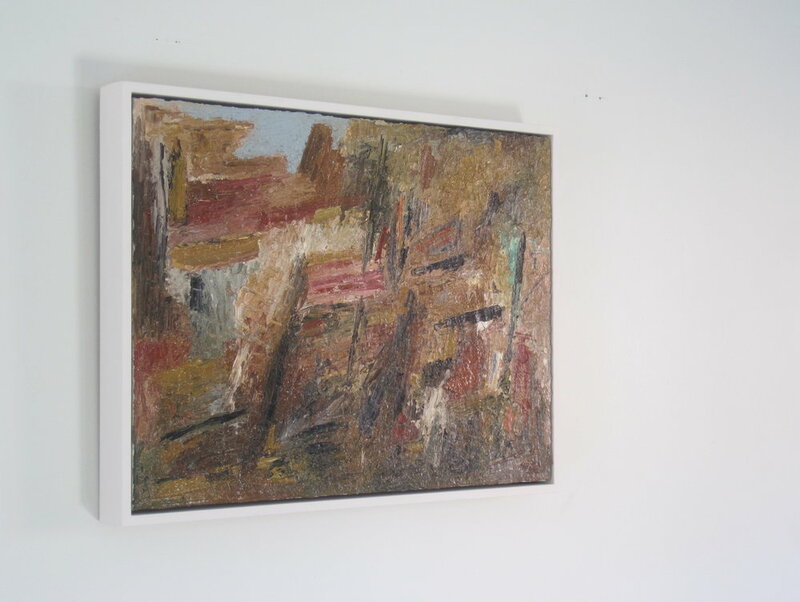 My painting is meant to be ambiguous, it isn’t a direct representation but rather a disorientated and fragmented vision; much like that of the The Waste Land itself. It has no focal point or real composition and the frantic nature and bleak earthy tones signify the state in which Eliot found himself in. If I’d have to associate something with the painting, it’d be the grotesque nature of war. Maybe one could see it as a trench, or of collapsed earth and rubble. The only promise is a hint of muddied blue- possibly a window of hope and rebirth. 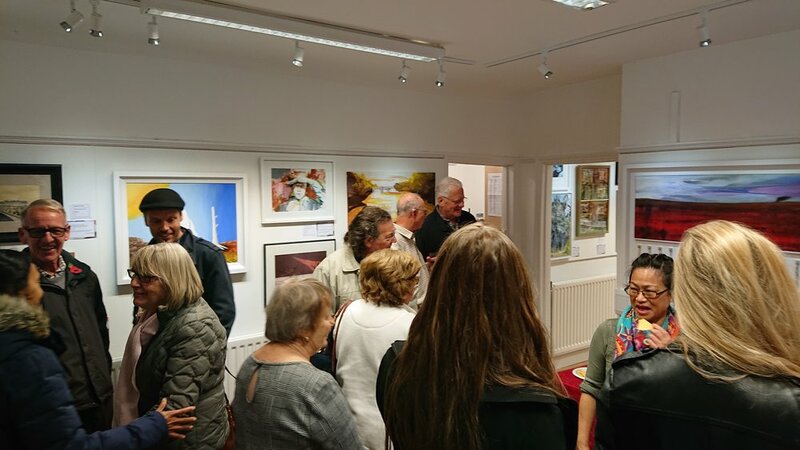 What made you want to organise an exhibition like this at Leamington Studio Artists? For you as the curator, what were the biggest challenges you faced? What do you want audiences to take away with them after seeing this exhibition? What have you enjoyed most about the project so far? What advice would you give aspiring people wanting to become involved in curating and exhibition projects likeJourneys with “The Waste Land”? What are your plans for the future? Any other exciting projects you’ll be involved in? 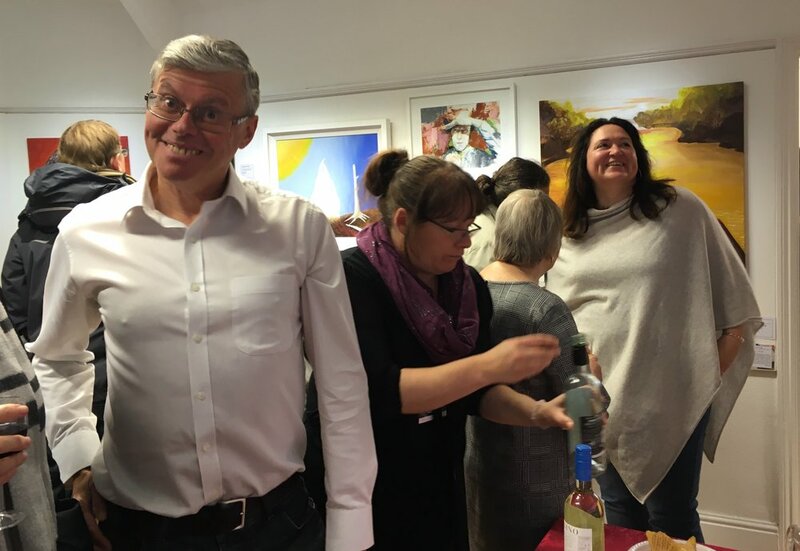 A unique and fascinating exhibition has newly opened at Leamington Studio Artists, Jephson Gardens. The exhibition, titled, Response to “The Waste Land” delves into the seminal work of writer and poet, T.S. Eliot. On until 25th November - all are welcome! Produced and curated by LSA member and volunteer, Karen Parker, Karen also works at the Mead Gallery, Warwick Arts Centre, where she is heavily involved in the planning team for Journeys with “The Waste Land” - a community research project and exhibition led by Professor Michael Tooby and organised by the Mead Gallery; in collaboration with Turner Contemporary, Margate, the Herbert Art Gallery & Museum, Coventry and Coventry Cathedral. The purpose of the project is to shed light onto the contemporary significance of ‘The Waste Land’, a poem written in 1922 during the aftermath of the First World War. Bringing together knowledge from local communities and gallery curators, the story of T.S. Eliot is shared as well as the power his poem still has on time and place. Noticeable themes are that of journeys, fragmentation, redemption, myth and religion, and the affects of war on our cities - especially Coventry, a city rebuilt from ruin. In a time of great remembrance the project also coincides with the centenary year and armistice of World War One. 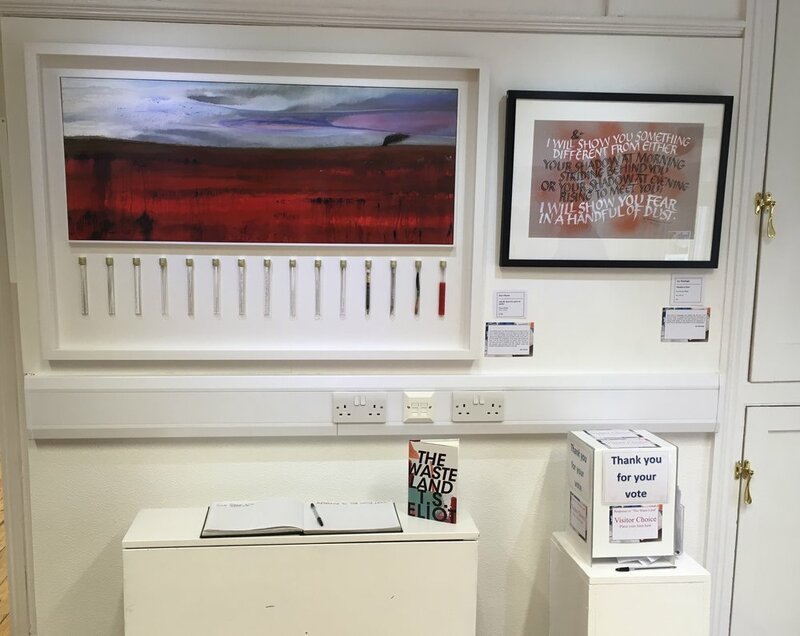 The exhibition at LSA’s East Lodge Gallery has been inspired by the project, and in support of this, local artists of all types have been invited to create work using T.S. Eliot’s famous poem as their stimulus. The result is a wonderful array of artwork, each artist forming their very own vision of what ‘The Waste Land’ means to them. There are a variety of styles, media and approaches to suit all tastes; just be sure to visit the exhibition with an open mind! With £150 in prizes, the LSA Open Exhibition is also a judged competition. 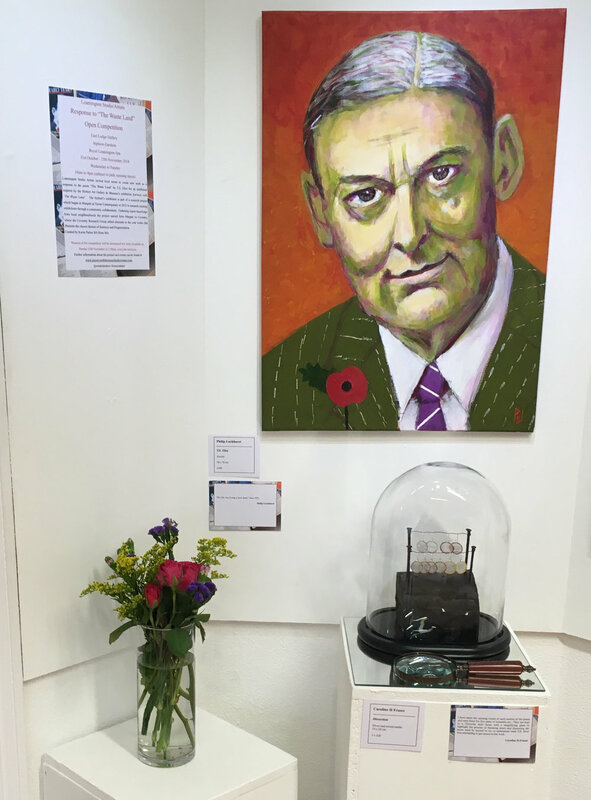 The winner will be chosen by independent curator, Prof. Michael Tooby, facilitator of Journeys with “The Waste Land” and someone with close ties to Coventry and the work of T.S. Eliot. The prize-giving reception will be held on Sunday 25th November at 2.30pm, followed by a closing party at Episode Hotel, Leamington Spa from 6pm onwards. Tickets need booking in advance to avoid disappointment. A People’s Choice Award will also be decided so all are encouraged to pop by, get involved, and see this inspiring exhibition for themselves. Journeys with “The Waste Land” is currently on at the Herbert Art Gallery & Museum, Coventry until 18th November. imagine...Tracey Emin: Where Do You Draw the Line? imagine... - 2018: Tracey Emin: Where Do You Draw the Line? Artist Tracey Emin talks to Alan Yentob about her life. Really fascinating watch this, David Hockney was asked to create a stain glass window for Westminster Abbey in celebration of the Queen’s 65 years reign. It captures the man himself in the many stages of the project and it’s astonishing seeing how the Barley Studio, specialists in this craft, went about making such a large-scale stain glass window. It looks beautiful, a contemporary and very much Hockney-esque vision inside what is an otherwise ancient and traditional place. I must go see it in person! David Hockneys commission to design a stained-glass window in Westminster Abbey.